Invade is a celestial real-time strategy game. 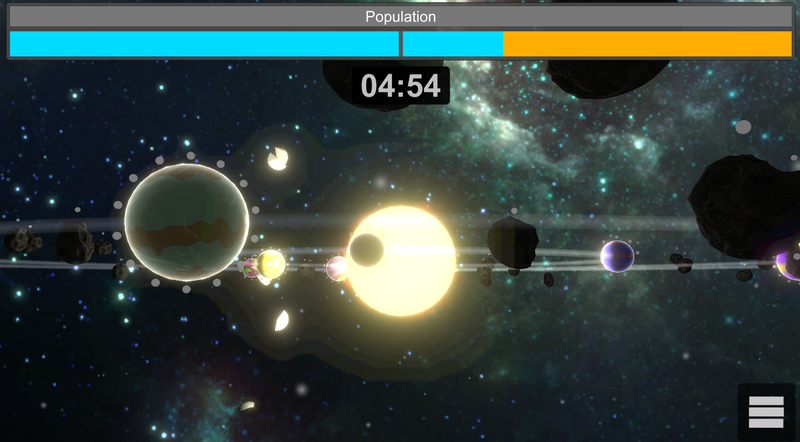 Your goal is to capture as much of the solar system as possible before the time runs out or your opponent eradicates you. A new solar system is created every time you play, so each game is unique. Wait until planets are nearby enough, then you can send part of your population to colonize the new planet. WASD to explore the solar system. 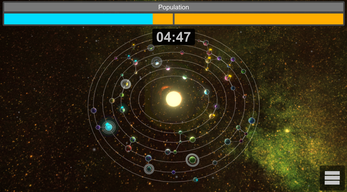 Left click to select planets. Right click to send population. Let me know what you love and hate about Invade in the comments. Left-click on a planet to select it. 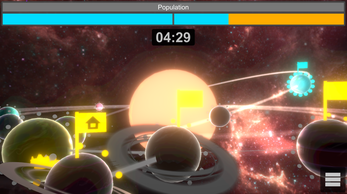 To colonize: left-click on a colonized, source planet and right-click on the target planet when a line between them appears to transfer 1 population. Right-click repeatedly to transfer multiple populations. 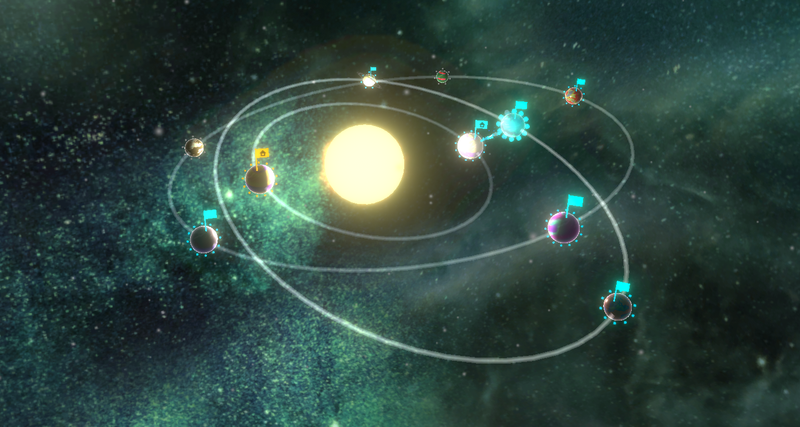 A minor grievance I have is that some planets share the same orbit which isn't true to real life. Will include your feedback in future builds.